This feed is a complete and balanced diet of 32% high quality protein and is rich in nutrients essential for optimal fish growth, reproduction and overall health. It is an extruded, multi-particle size feed designed to be fed to a wide variety of fish species of many different sizes. * Forage fish become larger. 1 lb of weight gain per 2 lbs consumed. 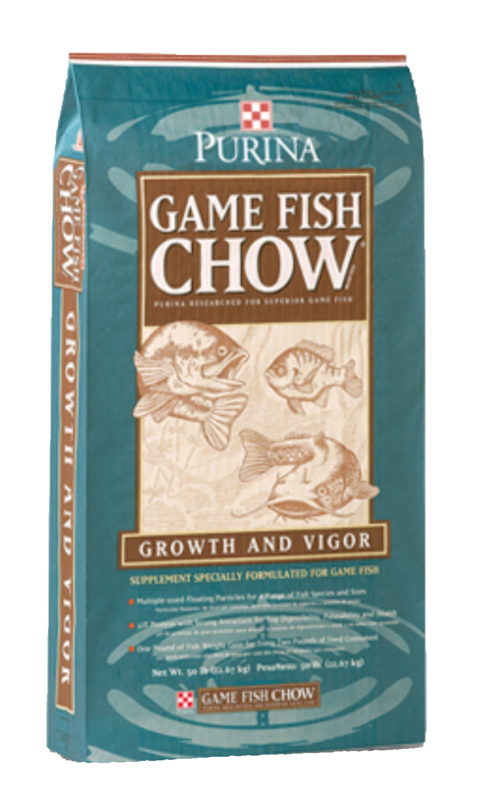 * A strong fish attractant can result in optimum feed intake. * High levels of top-quality protein ensure you fish receive the optimum nutrition they need to achieve their genetic potential for growth and health. **This information is taken from the Purina site.